It’s September, and that means another round of AWESOME, sweet ladies gracing my sidebar with their blogs and shops. I’m so pumped to introduce the new faces this month, and to have a couple returning sponsors. I always love it when they come back! Before we get started, I want to remind you that this month’s sponsor, Emmaline Bags, is offering %15 off in her shop with the code SEPTEMBER. I don’t sew (hint, hint), but if I did, I’d for sure be making one of her bags! Love her patterns, and her fabric choices are gorgeous. Megan @ Shaping Up to Be a Mom– Megan has a super cute blog where she shares how she gets in shape, couponing tips, recipes, and a little bit of everything. And, you’ll need to check out her shop, Megan’s Cents of Style. How fun to be a stylist and share it with others on her blog! the Hunger Line are donated to charities which seek to end hunger for children worldwide. Her second shop,Big Red Kite, is home to handmade eReader and phone covers. Come back soon to enter for a shop credit to Mimi Baby Boutique and a custom e-Reader or phone case. *wear sweats a lot. because they’re comfy. Jaime @ Mom’s Test Kitchen-Jaime has a blog with recipes galore! 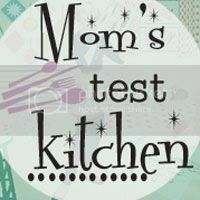 You’ll also want to check out her weekly link party, Mom’s Test Meal Monday each week. Sarah @ Fantastical Sharing of Recipes-She’s not a stranger here! Love that she renews her ad and links up to Must Try Monday time after time! If you haven’t checked out Fantastical Sharing of Recipes, it’s about time you did! She hosts Tasty Thursday each week, and is a fellow participant in the Mom’s Crazy Cooking Challenge. *Make as many pumpkin recipes as humanly possible. *Have a bombtastic Halloween costume. *Let the kids jump in a pile of leaves for the first time. DJ @ DJS Sugar Shack-Another fellow foodie blogger, DJ has some awesome sweets on her site! She’s always sharing something fabulous at Must Try Monday! *Visit Bali- This one is really exciting because I’m about to put a great big check next to it in a few days. This week we are heading to Bali for almost a month! Whoop! Whoop! Other than diving through Canada & a brief trip to the Bahama’s I’ve never been out of the country. Earlier this year the trip was a pipe dream & until we bought tickets last month I was convinced it wasn’t going to happen. *Learn to surf – This one is kind of related to #1. I say I’m going to take lessons every time we go on vacation & I never do. This time I will do it! *Make some really cute Halloween treats! Halloween is by far my favorite time of year and it is so much fun to turn scary things into cute treats. Shatzi @ Love and Laundry–Woot! So glad this girl is back here this month. Her blog is growing, changing, and I love it more and more! I’m so thankful she’s here with me again! I hope you enjoyed meeting my Medium Ad Sponsors this month. Later this week, come back to enter the giveaways they are sponsoring! 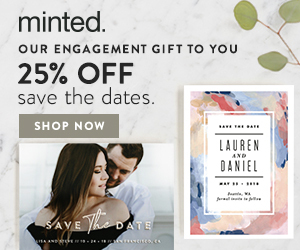 Shop credits, ad space….it’s up for grabs! Loving all these bucket lists – nothing wrong with adding more to my own!